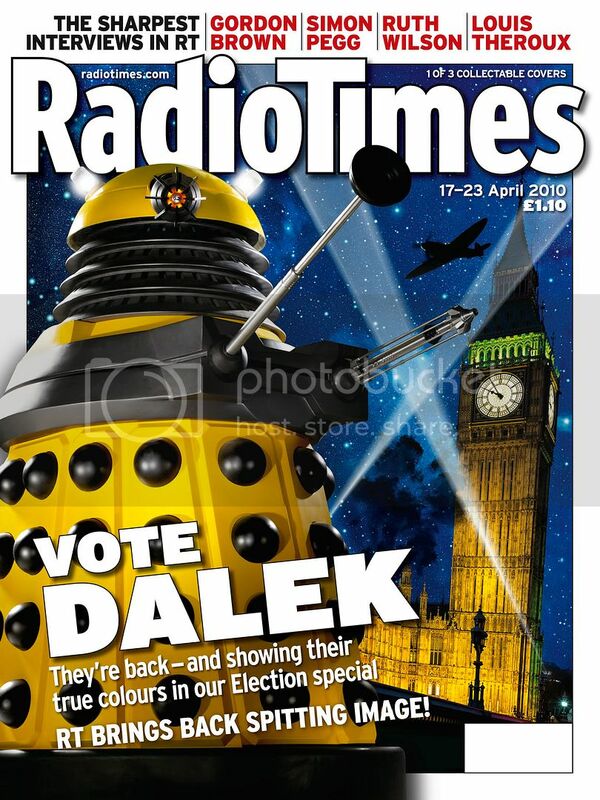 In just a fortnight since gracing the front cover of the Radio Times for the series launch, this week sees not just one but three covers devoted to the Doctor's greatest enemy, the Daleks - with the three main political parties engaged in the current UK election campaign reflected in red, blue and yellow livery! 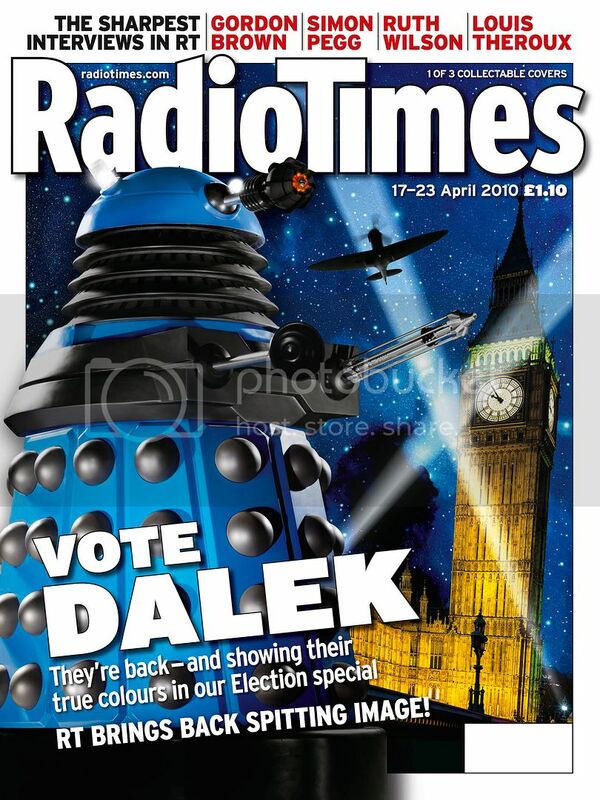 Inside, the magazine chats to Victory of the Daleks writer Mark Gatiss about his fascination with the Daleks, and explores their timeless appeal. 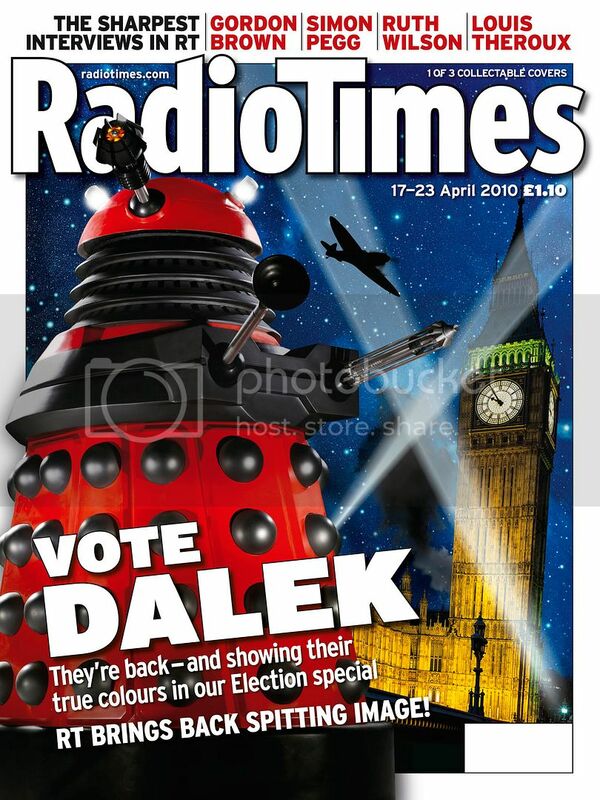 Plus, an exclusive first look into the BBC’s online archive to find out its top Doctor Who secrets - the first ever access to audience research reports on previous Time Lords from Jon Pertwee to Sylvester McCoy. Hamlet, Macbeth, A Midsummer Night’s Dream, Romeo and Juliet? Jon Pertwee, Tom Baker, David Tennant or Matt Smith?